Yeah but that in the long term will cause big problems. Few things bind people together like religion. It brings community and stronger social ties especially in times of stress, danger, ect. Perhaps this is all part of the what is supposed to be. Before Christ comes there will be wars, famine, disasters, people fighting and killing each other. As religion loses people, they become more disconnected. Some people may say that religion plays a role in the increased polarization of society. Perhaps to an extent but society is becoming more polarized as people turn away from religion. Not just in the US but also in places like Europe where people have largely left religion for a while now. Secular societies do fine when things are good. Not so sure they will do well when the society starts getting torn apart. People will return to religion when things get bad. They will have to because in the end, all governments fail. I am not sure you have any support for any of your claims. I think a stronger case can be made for the opposite. The strongest religious countries seem to be the ones with the most turmoil, killing, fighting, and political unrest. Take the middle east for example as compared to Asian countries and Scandinavian countries. The lifestyle differences are quite remarkable. Even in this country, one of the biggest reasons people are leaving religion is because it is so divisive against others on issues that don't match the religious rights agenda. The majority of Americans can't see why someone should fight against the rights of others to marry who they want, or be served based on some moral barometer, or all the other numerous Christian objections people have for treating others with respect and dignity. With the modern version of Christianity, it is really hard to see how religion is bringing communities together. Can you point to anywhere that religion has created this utopia that you speak of? Because I can point to plenty of places where religion is one of the main reasons for turmoil and division within a country. The way terrorizing a group is being argued, seems to only apply if the targeted group knows or has reason to suspect it is being targeted. So take the arson scenarios, 4 homes in one community are burned by arson. There is no apparent connection between the four; thus the whole community has reason to fear the arsonist(s), not just a group within the whole. However, your scenario of ten people murdered while each doing the same thing - walking to church - would be a basis for the apparent targeted group within a community to believe they are being targeted. Hate crime penalties added to a crime is at the discretion of the prosecutor who thinks that he can win that charge against the individual. It is possible that an arson burning homes in a specific community could be charged with a hate crime if the motivation for targeting that community came from a place of hate for the people that lived in that community. If the prosecutor can not make that connection, then the enhanced charge would not be used. This is the kind of fear I live with every day simply because I am gay. And these kinds of attacks are in the news virtually every day of my life. Yet some don't want a stronger message sent to these idiots who think it is ok to harm someone simply out of hate. 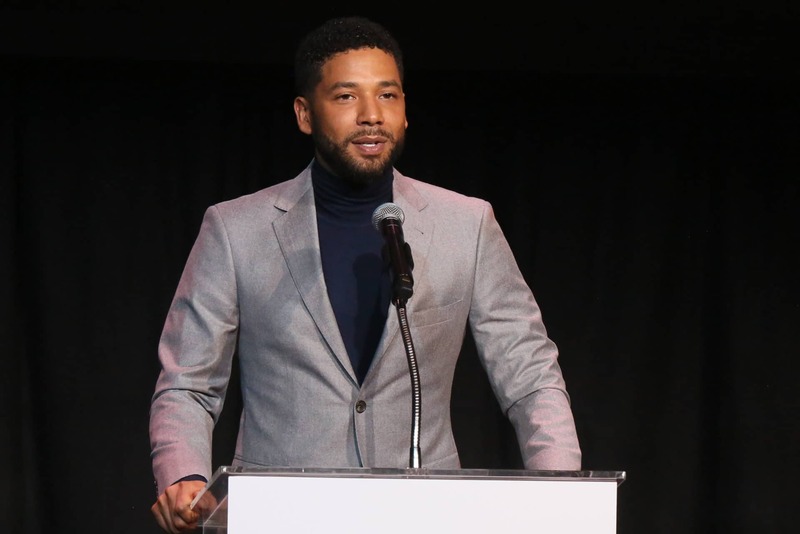 Empire actor Jussie Smollett was hospitalized and treated at Northwestern Memorial Hospital in Chicago after a violent attack. MAGA. The candidate most supported by the religious right. Yeah, religion brings communities together. It is the answer to everyone's problems. No need to address this problem is there. I don't really care for hate crimes legislation. However, if you are going to have hate crime laws, then I definitely think they should include protections for LGBTQ people. Forgot to add that it was the pagan north that responded to the butchering of the Saxons at Verdun. Together the vikings struck back and struck first in response to the terroristic tactics of Christian agression, even the Pope himself had to placate the Germanics and Nordics. Will give you that on religion, it was thanks to the Christians that Valhalla became a lot more popular. Happy that the proper beliefs are returning to Europe and the other folk scattered abroad. Considering a lot of Christianity is selling the west out I think it's about time we returned to the beliefs in our own philosophies and gods, that is unless your religion can once more take a stand against the degeneracy and other problems we're having now. That’s the problem I see..a specific kind, hence unequal protection. We’ll have to agree to disagree. Vaya con Dios. Racial hatred and hating someone because they cheated you in a business deal are not equal and treating them differently is not unequal protection under the law. The history of modern Norse worship is not exactly a shining beacon of tolerance. The Nazis co-opted the mythology first and many of its followers are still fascists or at least nationalists. Which is sad because I like Norse mythology. It is horrifying to me to watch much of Christianity sacrifice its biblical principles on the altar to make political wins on what are largely pseudo biblical principles. If I was one of the people that believed that there is a real devil orchestrating a campaign to destroy Christianity as a moral force for good the Powerpoint proposal for creating the Relgiious Right would have made for a happy Diabolic board meeting with kudos all around for such brilliant subversion tactics. And I am one of those people. Here stateside that is very much true sadly, while I like what i've seen what i've heard about groups like the AFA isn't the best. Here's the thing, they get a lot of ex cons and the down and out vets with PTSD no one will raise a finger for. These are people the Christian church back in the day would have helped, now they just shun them. I partially blame the Christian church for this, they chose to drop the ball on many of the least of these in favor of profit, here we are. Can go on about how no one's perfect nor that not being the intent all you like, when one of your jobs as an institution is to not only set an example but help people as Jesus did that comes with a certain social responsibility that up until late the church be it LDS or not did. When towns would go up one of the first things that went up was the church, the place you went to for guidance besides worship, now for the most part it's a religious themed social club for networking, the kinds of places where Jesus would have thrown a fit before he tossed the money changers out. Again, I blame Christianity for this, when you do little to enforce what you used to as well as have a total lack of accountability for the things your clergy does as well as parishoners/members, people esp. single men will think with their feet and wallets. Personally, I'd take Thor/Odin/Vidar/Frigga etc. over Jesus any day, mostly because they've done more, at least I think anyway. I'll probably get flamed so I'll ephasize the I think anyway part now. Will happily go into why if anyone wants to ask. Here, check these out, very different than what we have stateside.The last video very much is how I came to and after my stint around Christians in WA state came back. COLORADO SPRINGS, Colo. (RNS) Nearly a third of the $373 billion that Americans donated to charity last year went to religious organizations. The $119 billion that was given to churches, religious charities and parachurch ministries is more than went to groups that specialize in education, human services or any other category, according to a report by Giving USA. But the cost-effectiveness of the religious recipients varies greatly, as does the transparency of their finances. “Donors should recognize they have a serious responsibility to give as wisely as they can, as it is not their money they are giving but the Lord’s,” said Rusty Leonard, founder and CEO of MinistryWatch, an accountability group. FYI, the Iceland Asatru group looks really neat, so want to see the temple they have. They also do LGBTQ weddings. Not saying there aren't but wow the lions share of them sure are entitled and hypocritical. If we had more people like you i'd have a different opinion. If the ward I went to had people like i've met here I may well have converted. Too late, damage is done. There is breakdown of the crime type in this information. You used violent crime as a basis for passing the law. I doubt many of these are violent assaults. Some of them are probably bogus. It happens. Hate crime law prosecutions are rarely applied equally. When I heard about the St George stake center fire being caused by arson. I thought about the hate crimes bill. I saw one poster in an article hope that they get charged with a hate crime. Too bad Utah's current laws have no teeth. Maybe this event might get things moving toward passage. Maybe the bill came one year too late? (if they ever catch the arsonist). Make it so. While it still might be real, this story is looking more and more like a hoax. Do you have something from a credible news source? Prosecution and sentencing are rarely applied equally. Take a look at the racial disparity in punishment. While making things equal and fair is always a good thing suggesting that something should not be implemented because it might be used unfairly when all the rest of the tools are already applied disproportionately is silly. I didn’t realize Chicago was MAGA country. Wonder why towerload cited TMZ as the source of confirmation of parts situation. I wouldn’t necessarily count Towleroad to be an entirely reliable source, either. It’s a site that relies on tips related to LGBT news that it then re-posts info from other sites, sometimes adding additional editorial comments/spin. While I regularly visit Towleroad myself and sometimes get news from that site, I find it’s always best to try to investigate the claims being made to the best of my abilities by trying to go to the actual source(s)—which I find to be a good rule to follow for anything found on the internet. Sometimes sites are right, sometimes wrong. I went to the source which claim it verified with the Chicago PD that Smollet would not provide his phone. Crimes of passion generally will reduce a murder down to manslaughter and prosecutors make that call more than a trained psychiatrist. Just saying.